It's been one hell of a week. At least Christian Louboutin understands. 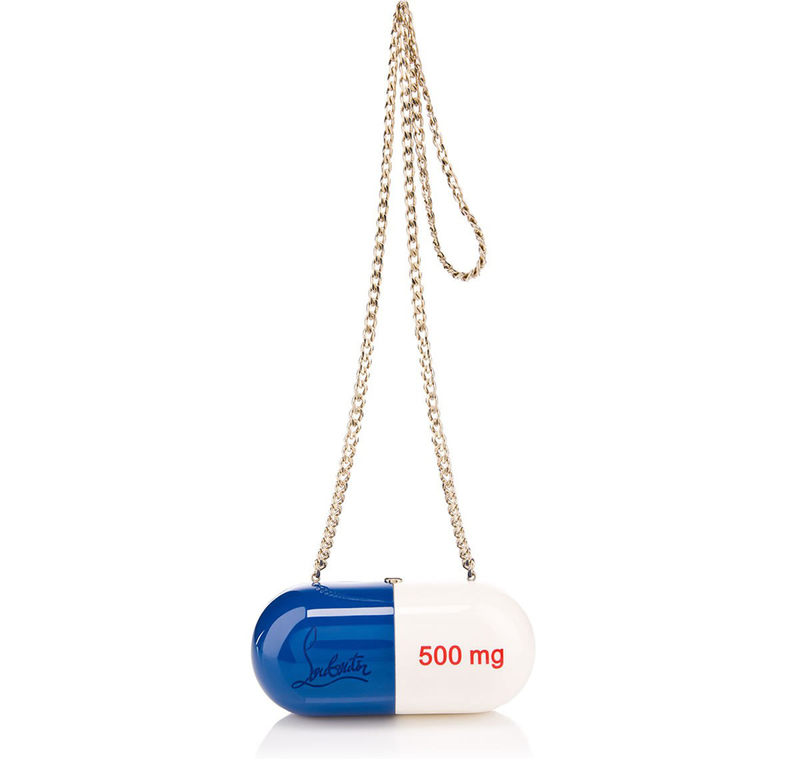 At €4,695, his clever Pilule shoulder bag won't go down quite as smooth as the real thing, but I bet it does a bang-up job as a mood stabilizer! What a fab little creation! I hope you have a lovely weekend too hun! Am hoping the weather stays sunny for the weekend! ha ha this is really cool find I love the bag, very quirky and just what I'd expect from Louboutin, still even for them a bit pricey though.